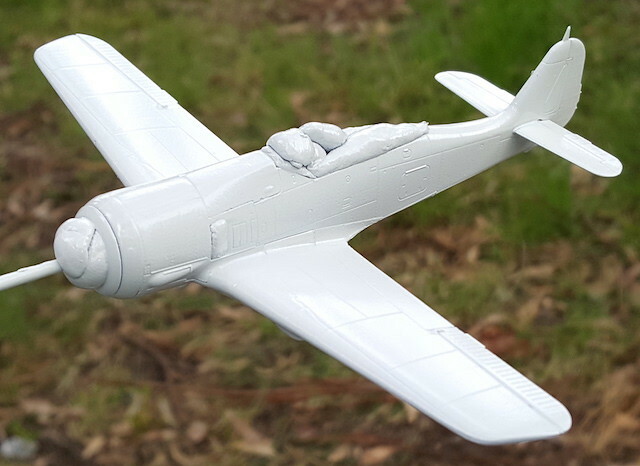 Yes, there is critical limit to the size of PE pieces below which time spent trying to pick them up and attach them to the model rather than to ones fingers, tweezers, cocktail sticks etc is greater than time spent building the model. There has been a small (about 5mm) spider running backwards and forwards across my bench while i've been trying to work recently. I think it stole the instrument panel. Despite the slowness this kit is going together precisely and unless I have made a ghastly error it promises to fit together very well with minimal PSR. Which is what I was looking for. I've even rescribed the panel lines obliterated sanding the gun lumps off. Which is unlike me. I'm not intending to eat it Chris. As with the Drag Cab, baby steps. 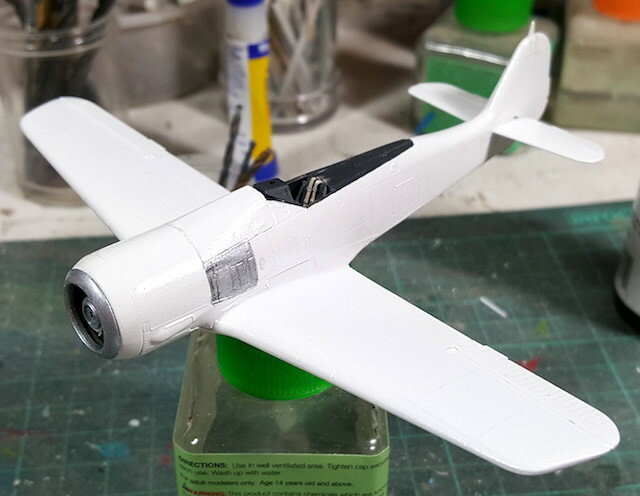 There are a number of small parts inside the wings which I have been taking my time with to ensure the best fit I can manage. 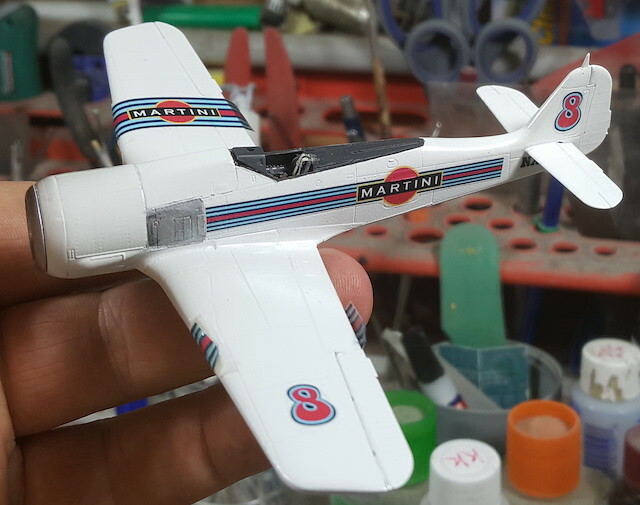 I have also dobbed filler into the brass ejector ports on the wing undersides. Wings, tails, rudder and cowlings on top of the engine and in front of the cockpit are now in place so it looks like a hairoplane. Some trimming of flying surfaces has been done. Not a lot but enough to be noticeable. I do believe this is now ready to have it's various orifices blocked before a squirt of primer is applied. Some filler will be needed on the upper wing roots. Not a lot, but something needs to be put in the gaps. Painted. This is the colour coat. I am drawing up and printing the decals which are based on those used by car racing teams sponsored by a maker of vermouth. Red and blue stripes then? Touch ups, bare metal panels and washes. I printed the decals last night and sealed them today. I should be able to put them on tomorrow.